Quadrupole ion traps are modern and versatile research tools used in mass spectrometers, in atomic frequency and time standards, in trapped ion quantum computing research, and for trapping anti-hydrogen ions at CERN. Despite their educational potential, quadrupole ion traps are seldom introduced into the physics classroom not least because commercial quadrupole ion traps appropriate for classroom use are expensive and difficult to set up. We present an open hardware 3D-printable quadrupole ion trap suitable for the classroom, which is capable of trapping lycopodium spores. We also provide student worksheets developed in an iterative design process, which can guide students while discovering particle traps. The quadrupole ion trap operates using a 3 kV 50 Hz alternating current power supply and uses an astable multivibrator circuit including high luminosity LEDs to illuminate the spores, using the stroboscopic effect to exhibit their movement. The trap can be used in teaching laboratories to enhance high school and university students’ understanding of electric fields and their applications. Design files & accompanying documents: DOI: https://doi.org/10.5281/zenodo.1473292. Target group: secondary school students, undergraduate students, and their teachers. Skills required: Desktop 3D printing – easy; Point to Point breadboard construction – easy. Replication: For example, a master’s thesis on DIY construction of quadrupole ion traps is available in German . Commercial versions of the project can be purchased at Newtonian Labs and LD Didactic [15, 23]. Future versions of designs may be found at DOI: https://doi.org/10.5281/zenodo.1251786. See section “Build Details” for more detail. 3D printing and ‘making’ in an educational context has become more prevalent and 3D printers are becoming more widespread in schools and universities throughout Europe, America and Australia [12, 19, 22]. There is also increasing focus on modern physics and particle physics in high school curricula [2, 4, 10]. However, particle physics can be an abstract topic as there are a limited number of hands-on experiments that students can perform. There is a long tradition of laboratory work in science education, and an almost as long discussion of its goals, value, and effectiveness [8, 9]. Nevertheless, students show more interest in hands-on activities compared to purely cognitive activities . To support learning in the proposed experimental activity we incorporate recent findings from science education research into the design of the learning activities. One type of ‘hands-on’ particle physics experiment that students can perform is the construction of particle traps such as the quadrupole ion trap. Wolfgang Paul and Hans George Dehmelt developed this trap and together were awarded half of the Noble Prize for physics in 1989 for their work . Therefore, quadrupole ion traps are often called ‘Paul traps’. Today, particle traps are used in many fields: in mass spectrometry, in atomic frequency and time standards, and in trapped ion quantum computing research . At CERN, particle traps are used at the antimatter factory to trap anti-hydrogen ions as a prerequisite of studying the gravitational effect on anti-hydrogen atoms . Commercial quadrupole ion traps that can be used to suspend macroscopic particles, typically lycopodium spores, in the classroom are available, however they are expensive [15, 23]. In addition, they typically use lasers to illuminate the spores, which can be dangerous to students. We present an open hardware 3D-printable quadrupole ion trap as a hands-on particle physics experiment for high school and undergraduate students to demonstrate macroscopic charged particle trapping. This allows students to learn about electric fields and their applications while discussing state-of-the-art experiments used in antimatter research. The trap design presented in this paper uses high luminosity LEDs to illuminate the trapped spores as opposed to lasers making the device cheaper and safer for students to use. This also avoids the time-consuming task of aligning lasers. An astable multivibrator circuit is used to strobe the LED which allows studying the trapped spores while appearing stationary or in observable movement depending on the strobing frequency. Figure 1 shows the quadrupole ion trap setup in S’Cool LAB, CERN’s hands-on particle physics learning laboratory for high-school students. Image of the quadrupole ion trap setup in S’Cool LAB. An iron core transformer is connected to a primary voltage of 13 V AC. The secondary side of the transformer (approx. 2.6 kV) is connected to the trap which is illuminated by a high luminosity LED. A USB microscope is used to record the trapped spores. The particle trap has been designed with an emphasis on accessibility. The total cost of construction, excluding the power supply and multimeters, is less than 50 Euros. A construction manual with schematic diagrams has been produced to allow students with minimal electronics experience to construct the trap. We also provide a student worksheet and solution manual for a 90-minute classroom activity that has been developed in an iterative design process. The construction of the trap and the associated learning activities have been tested with high-school students and teachers in the framework of experimental sessions in S’Cool LAB. The hardware of the particle trap consists of three parts; the casing, the electrodes, and the astable multivibrator blinking circuit. The casing is passive; it houses the electrodes with their wiring and the blinking circuit and contains barriers to separate the electrodes and the breadboard circuit. The electrodes are connected to a 3 kV AC power supply, and their electric field is used to suspend the spores. The astable multivibrator circuit containing bright LEDs illuminates the lycopodium spores. We used PLA (Polylactic acid), a readily available material for most brands of 3D printers, to print the components required to construct the trap. The design is not material specific, ABS (Acrylonitrile Butadiene Styrene) and other commonly available materials are suitable. When printed with 20% fill density the mass of PLA required is 200 grams. If printed with a layer height of 0.1 mm this corresponds to approximately 50 hours of 3D printing. All components were designed to be printed without supports or rafts, minimising post processing. Once printed, the components simply slide into the appropriate joints, there is no need for glue or other adhesives. Therefore, the casing can easily be pulled apart, modified and re-constructed. The design of the casing contains barriers to separate the electrode circuit and the blinking circuit. The 3D printed electrodes are manually painted with electrically conducting paint. Power is provided via 4 mm ‘banana plug’ sockets. 10 MΩ resistors are connected in series directly at the input sockets for the 3 kV power supply to limit currents to a safe value (see safety section in chapter 2). A circuit diagram of the electrodes is shown in Figure 2. The complete circuit providing a high voltage to the electrodes on the right. The dashed rectangle encircles the components inside and connected to the 3D printed base of the trap. The electrodes are powered using a 10–20V AC power supply connected to a transformer of ratio 1:200. The optimal shape and configuration of the electrodes can be derived from the underlying electrodynamic theory (Poisson’s equation, Earnshaw’s theorem). The basic idea of particle traps is to keep electrically charged particles at a certain point in space. The field geometry for a particle trap should have the following properties: zero electric field at the centre of the trap, and a linear increasing force towards the centre of the trap for displacement in any direction. Earnshaw’s theorem states that this cannot be achieved by using static electric fields. However, the quadrupole ion trap we describe uses oscillating electric fields, which provide a favourable field configuration over time. Therefore, the effective field results in particles being pushed towards weaker electric field regions over time. Particle motions and stability regions are important characteristics of modern quadrupole ion traps operating in vacuum; they can be described by the so-called Mathieu equations. However, the damping effect of the air dominates these characteristics in the described trap model reducing the impact of small modifications. A more detailed and an almost mathematics-free description suitable for students can be found at Newtonian Labs . Although the electrode shapes derived from theory are hyperbolic, easier shapes such as half-spheres work as well. The trap can operate with three electrodes (two endcaps and one ring electrode) or alternatively two electrodes (one endcap and one ring electrode), see “two electrode variation” in application section for more details. The astable multivibrator circuit is constructed on a simple 80 mm by 60 mm breadboard using only passive components. Because the focus of the design is accessibility, the circuit is powered using a standard 9 V battery. All components are off-the-shelf and readily available both online and in electronics stores. A schematic circuit diagram of the astable multivibrator circuit is shown in Figure 3. The circuit utilises an on-off-on switch (S1) to allow the user to change between strobing and continuous illumination. A potentiometer allows the user to vary the frequency of the strobing and to study the particles while appearing stationary or in observable movement. Circuit diagram of astable multivibrator circuit. This diagram was created using the open source Fritzing software. The affective and cognitive effectiveness of laboratory work depends on the quality of the associated learning activities. Previous studies recommend, for example, to avoid cook-book type activities, to engage students in thinking and enable teachers to elicit students’ thinking . Other studies have found that efficiency of learning is increased when extraneous cognitive load of the tasks is reduced; for example by using process worksheets to guide students through complex inquiry tasks . As for any other learning activity, teachers and educators should be aware of students’ conceptions relevant to the learning topic, as they might hinder learning and require special teaching strategies . When designing the hardware and accompanying student worksheets, these considerations have been taken into account. Predict-observe-explain (POE) tasks  haven been proven very promising during experimental activities. Students first predict the outcome of an experimental manipulation based on their prior knowledge. They also discuss their predictions with the peers in their team. These predictions are useful in several ways: Teacher and educators can analyse students’ predictions to elicit students’ thinking and to diagnose potentially hard to overcome students’ conceptions . In addition, students who predict the outcome of an experiment first are more likely to correctly observe the outcome than do students who did not . As Hodson states “You cannot discover something that you are conceptually unprepared for. You don’t know where to look, how to look, or how to recognise it when you have found it” [8, p. 118]. Therefore making predictions is essential to learning from experiments, and forces students to think and to activate their prior knowledge. After observing, students try to explain their results and possible deviations from their prediction. Since POE tasks are usually constructed around known students’ conceptions, this part is the critical step when trying to promote conceptual change . In addition to peer discussion, we recommend that educators help students to interpret their observations and, if necessary, adapt their underlying theory. In the accompanying student worksheets, POE tasks are used whenever possible, for example, before connecting the transformer and before adding spores to the trap. The POE tasks also help students to focus their observation to the scientifically interesting aspects of the experiment. Open inquiry often overstrains students, their working memory is too busy orienting themselves in the problem solving process to provide the required capacity to learning . Hence, we reduced cognitive load by structuring the activities within process worksheets and providing simple instructions to reduce cognitive load caused by the unfamiliar equipment. A 6-level scale of 4 items (based on [16, 27]) was used to measure students’ perceived cognitive load during the experimental session. Transformer: Although students have little problems using a formula to calculate the transformed voltages, some students don’t see the need for AC voltage and try to connect transformers to DC voltage instead . Since the learning focus of the learning activities developed is particle trapping, and the intervention time is limited, we simplified the connection by marking the AC power plug on the device. Confusion between Macroscopic and Microscopic levels: When trying to link the 3D-printed particle traps to quadrupole ion traps used in antimatter research at CERN, students need to transfer their knowledge from macroscopic lycodium particles to sub-microscopic particles such as anti-protons. Hence it is important for them to understand the limits of the macroscopic model. Studies especially from chemistry education point out students’ difficulties switching between macro and micro levels [1, 6]. To take this into account, teachers and educators should discuss similarities and difference between the 3D printed trap and traps used in current research. The trap is intended for use by undergraduate and secondary students. It is unlikely that these users are skilful and experienced in using electronics. This potentially increases the level of risk. Since this experiment involves using a high voltage power supply (typically 3 kV AC) we provide here important background information and safety advice. Electrical hazards depend on the current and voltage values. If the current is low enough, exposed parts can be considered touch-safe even when carrying high voltages. The international standard IEC-61010-1 specifies general safety requirements for electrical equipment intended for measurement, control, and laboratory use . It states that alternating voltages present in dry locations exceeding 33 Volts RMS (root mean square voltage) up to 15 kV peak are considered as hazardous only if the current exceeds 0.5 mA RMS (for sinusoidal waveforms) or if the amount of stored charge exceeds 45 μC. National laws defining safety rules for schools and educational institutes are typically based on this standard and state similar limits (e.g. in Austria and Germany an AC current of 3 mA is the limit below which no electrical insulation is required). Please note that these national regulations often define further necessary operating conditions such as the presence of residual-current devices (i.e. a RCD circuit breaker) as part of the main circuits, which will automatically cut the power in certain fault conditions to limit risks of hazardous electrical shocks. To address the safety requirements and reduce risk, two special high-voltage 10 MΩ resistors have been integrated in series with the electrodes, located directly at the high voltage input sockets of the trap to reduce the current to a safe level. This limits the maximum current to Imax = 3 kV/20 MΩ = 0.150 mA, well below the limit stated in . This current will only flow if the electrodes are shorted. Under normal conditions the trap draws only negligible leakage currents due to insulation losses in the air and the plastic insulators surrounding the conductive parts. For additional safety, the output of the power supply which is providing the AC high-voltage should be limited to the same low Imax value if a current limit can be programmed. When a high-voltage supply is not available, an iron core transformer can be used to amplify a lower voltage to the values needed. 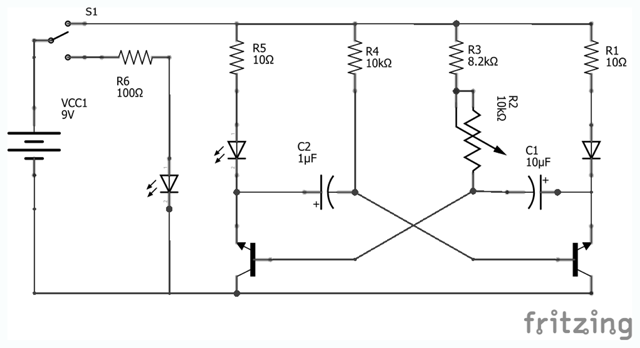 This provides a potential-free voltage due to galvanic isolation as there is no connection to ground on the secondary high-voltage side. The same current limiting considerations should be applied to the primary side of a voltage amplifying transformer for increased safety. The required limit for the stored charge (less than 45 μC) is easily met as long as no additional or hidden capacitors are connected between the high-voltage supply and the trap. The capacitance of reasonably short supply cables can be neglected. However, we recommend restricting their length to about 1 m which also helps to increase operational safety (tripping over cables etc.). We also recommend that touch-proof safety cables are used to connect the trap with an external high voltage power supply.1 The internal current limiting resistors of the trap are only active once all cables are connected to the supply. Therefore, the power supply must only be switched on after all cables are in place and must be always switched off before the connections are changed. Even though the current is limited internally, users should never touch the electrodes while the device is connected to the power supply. Moreover, the trap should never be opened while it is connected to high voltage. The internal connections of the high-voltage input sockets and high-voltage resistors should be regularly checked for loose cables and securing nuts must be regularly retightened. We can only provide general safety advice since the overall setup of the trap once built is in the hands of the user. It is the obligation of the user, teacher or demonstrator to verify and make sure that the device is operated under safe conditions following all relevant regulations which apply in their particular case (i.e. schools). We recommend that students only perform this experiment under the supervision of a teacher/demonstrator. We also recommend checking the wiring before students connect their trap to the power supply. After verifying that the initial voltage is set to 0 V, users can turn on the power supply and slowly increase the voltage to Vrms = 2–3 kV. Note: This hardware is not used for measurements and therefore calibration is not required. As part of an iterative design process, we tested the hardware, the education use case of the trap and students’ perceived cognitive load and learning after working with the traps. The S’Cool LAB team tested the quadrupole ion trap extensively with high school students taking part in hands-on workshops at CERN. We report on the optimal operating conditions here including the applied voltage of the electrodes, light conditions, and use of shielding. Spores will be suspended in the trap over a range of AC voltages. The power supply used operates at a frequency of 50 Hz. We do not anticipate any problems operating the trap with other frequencies, however, the optimal root mean square voltages (Vrms) may differ from those presented here. We found that the minimum applied voltage to suspend particles is Vrms = 2.0 kV. The optimal voltage range for operation was Vrms = 2.4–2.8 kV. The trap was not tested at voltages above Vrms = 4.0 kV (c.f. safety considerations). The lycopodium spores can only be observed when illuminated by the LEDs. Background light, for example full daylight, is sufficient to washout the light of the LEDs, making the spores very difficult to view under such low-contrast conditions. However, complete darkness was not required, it was sufficient to switch off the lights in close vicinity of the trap. In addition to lycopodium spores, the trap was also able to levitate cocoa and cinnamon powder. All of these macroscopic particles receive their electrical charge because of the triboelectric effect. One of the problems encountered was airflow in the room. The draught caused by the movement of students in the room was sufficient to remove spores from the trap. Therefore, we recommend closing all windows and doors and placing a transparent barrier around the spores. We found clear PVC pipe (diameter 120 mm) to be most effective, however the lid of the trap also contains thin grooves so view foil (also known as transparency or overhead slides) can be used as well to shield the spores. During the test in CERN’s S’Cool LAB facility, high school students were consistently able to operate the trap and perform experiments within a 90-minute period when guided by suitable worksheets and tutors. Although quadrupole ion traps have been used in education before [15, 23], there is only little empirical data. Although the focus of this paper lies more on the hardware development than on evaluating the impact of the accompanying learning activities, we summarise some results from a small scale study originally published in German . After designing the first version of the hardware and student worksheet, a group of 14 high-school students from the UK were recorded to identify critical steps when handling the equipment and to identify particularly difficult tasks. The biggest challenge for the students was the observation of the trapped spores, because the first iteration included a hands-held laser pointer. Due to the unstable light conditions and the narrow laser beam, it was difficult to observe the spores and to identify the shape of the “cloud” of spores which should lead to the electric field configuration. The following changes were implemented: A high intensity LED was fixed in the best illumination position replacing the laser pointer. The upper electrode was also removed because it blocked the light source and obscured the students’ view of the spores (see “two electrode variation”). In the worksheets, we added a step-by-step discussion of the movement of individual spores in the electric field before discussing the overall field configuration. In addition, we added the stroboscopic effect to help students identify the trajectories of individual spores. It was difficult to use the equipment. I was overwhelmed by the features provided by the equipment. I had problems using the equipment to make observations. I had problems understanding the physics principles of this experiment. The scale showed acceptable internal consistency with Cronbach’s α = 0.72. Students reported relatively low values with a mean of M = 29% (SD = 17%) of the scale maximum which confirms that the complexity of the activity together with guiding worksheets is suitable for high-school students. To measure if students learn more about quadrupole ion traps while doing the experiment, students completed 14 multiple choice items after doing the experiment. The results were used to measure the students’ understanding of quadrupole ion traps. The items and detailed results are discussed by Kirchner  on page 112. The results confirm that students understand the principle of the trap very well after doing the experiments; 97% correctly identify electric charge as important particle property for quadrupole ion traps and 89% correctly respond that electric forces hold the spores in the trap. However, they have problems understanding where the voltage is applied; only 67% of the students recall correctly that the AC voltage is applied between the ring electrode and the other electrodes. When choosing which voltage range was using to trap spores, many students report the primary voltage not the transformed voltage. Only 25% of the students chose the correct voltage range. Although the final discussion after workshops in S’Cool LAB focuses on similarities and differences between the 3D-printed trap and quadrupole ion traps used in antimatter research at CERN, students seem to have problems identifying limits of the 3D-printable traps for macroscopic particles. 58% of the students thought that it would be possible to trap elementary particles with the 3D-printed trap and 33% thought it would be possible to trap antihydrogen-ions with the trap. In summary, the students were able to recall the physics concepts of the trap. However, they struggled understanding the electric circuit including the transformer and had problems to transfer their knowledge to quadrupole ion traps used in antimatter research. Therefore, we recommend that educators and teachers who use the trap with their students should spend extra time to better understand the electric circuit. For example, they could build the traps first together with the students. We also recommend spending time discussing the properties and limitations of this model trap. The primary use case of this hardware is high school or undergraduate classroom settings. Therefore, the operation is designed to be as simple to build and as safe to operate as possible. After connecting the power source, the voltage is increased to Vrms = 2.0 kV. Then, the room lights are dimmed and the LED illumination is switched on. A pair of wood skewers are dipped into the lycopodium powder and rubbed together right above the ring electrode of the trap. If no spores are suspended in the trap, the applied voltage is increased and the procedure repeated. Figure 4 demonstrates the appearance of the spores under continuous lighting. Image of spores in the trap. Note the spores appear in the shape of lines because of the rapid (50 Hz) movement. It is possible to remove the top electrode from the trap to increase the visibility of the spores. While removing the top electrode prevents it from blocking the LED light and the line of sight, the shape of the electric field will not change significantly, see Figure 5. Schematic of electric field lines in 3-electrode set up (left) and in 2-electrode setup (right). Notice that the electric field is in a similar shape in the middle of the setup in both arrangements, thus the top electrode can be removed with little consequence for the trap. Please note that this diagram is only a sketch of the electrodes at a single moment in time and does not show a (numerically) accurate shape of the fields. Although the 3-electrode set up might be easier to understand because of its symmetry, we recommend using the 2-electrode variation for in depth studies in the classroom setting. However, the flexible design of the trap allows to modify the electrode set up easily as required. It is possible to replace the astable multivibrator circuit with a simple switch-LED-battery circuit. This makes it impossible to observe the movement of the spores, but greatly reduces the complexity of the design. In this variation, it is still possible to observe the spores as lines and this allows students to visualise the electric field lines in the trap. Worksheets and construction instructions currently exist to enable secondary teachers and first year university instructors to build the trap with students, for example, in the framework of extended research projects, and to run a 90-minute laboratory. Science communicators and science centres could use the trap as a functional model of an anti-matter trap. The trap could be extended to resemble a quadrupole mass analyser (a 4 rod or linear ion trap ). This could be used to demonstrate the operating principles of a mass spectrometer. It would also be possible to incorporate a DC offset voltage allowing students to determine the mass to charge ratio of lycopodium spores . There are several barriers to using this hardware to trap microscopic particles. A near vacuum would be necessary to trap individual ions. The set-up would also require an ion source and a means of detecting the ions and this would greatly increase the complexity of the set-up. There is no support community for this particular quadrupole ion trap design. However, Autodesk Fusion 360 provides support for use of the program in order to modify the design. There are also 3D printing support communities that would be able to provide guidance with manufacturing the trap. The trap can be 3D printed using commonly available filaments including ABS and PLA. Only standard passive electronic components are required, with the exception of specific high luminosity LEDs. Full instructions and an equipment list can be found in the construction manual in the document repository. The trap was intentionally designed to be accessible for high school and undergraduate students with minimal 3D printing and electronics skills. The casing can be printed without supports or rafts to minimise post processing. In addition, the circuit contains only passive components and as a breadboard is used only minimal soldering is required. The quadrupole ion trap is not dependent on any other software. Construction of the electrodes requires electrically conducting paint: we used ‘Bare conductive’ electric paint.5 High luminosity LEDs are also required for illuminating the spores; we used 6000L GN6 ultra-bright, clear green LEDs. The document repository contains a construction manual including details about the purchased components. The only other hardware required is a 3 kV 50 Hz AC power supply, ideally with a variable voltage. We combined an off-the-shelf power supply (max. 20 V AC) with a transformer of transformation ratio 200. We present the design of a functional model of a quadrupole ion trap for classroom use. High school and undergraduate students can assemble this design and the total cost is less than 50 Euros. The trap is powered by 50 Hz 3 kV power source and can be used to levitate lycopodium spores. General testing shows that the trap operates effectively between 2.4 and 2.8 kV and trapped spores are visible in dimmed lighting. While students explore the functioning of this particle trap, they can improve their understanding of particle traps and the underlying concepts. Although the underlying physics concepts are complex and the mathematical descriptions of quadrupole fields is beyond high-school level, we present possible reconstructions and worksheets which reduce cognitive load. Future work will focus on developing traps that allow undergraduate students to undertake more complex activities in the laboratory. As discussed in the use and reusability section: the proposed design could be adapted to allow students to perform an experiment to measure the mass to charge ratio of trapped particles. In addition, a large-scale study will provide more information about the cognitive and affective impact of the construction and exploration of this trap on students. 1Please note that 4 mm ‘banana plug’ cables, even if of the touch-safe type, are typically engineered for a maximum voltage rating of 1 kV. They can be still used safely in our setup since they will carry only very low, limited currents. The editors would like to thank Alicia Gibb and Leonardo Albuquerque Heidemann for their valuable contribution as reviewers, anonymous to the authors. The authors would like to thank Robert Appleby from the University of Manchester for his suggestions on ways to extend the project for later year undergraduate laboratories. Australian Curriculum 2018 Unit 4: Revolutions in Modern Physics. [online] Available at: www.australiancurriculum.edu.au [Accessed 28 May 2018]. Bernhard, J and Carstensen, AK 2002 Learning and teaching electrical circuit theory. Proceedings from PTEE 2002: Physics teaching in engineering education, 163–178. Cambridge International Examinations 2014 Syllabus Cambridge International AS and A Level Physics, 45. Cambridge: Cambridge International Examinations. Coberger, N 2007 Moderne Modellexperimente als Schülerprojekt – Paulfallen und Teilchenbeschleuniger. Master’s; Thesis, University Mainz, Germany. Gunstone, RF and Champagne, AB 1990 Promoting conceptual change in the laboratory. In: Hegarty-Hazel, E (ed. ), The student laboratory and the science curriculum, 159–182. Routledge: London. IB Diploma Program 2018 Topic 7: Atomic, nuclear and particle physics (14 hours). [online] Available at: https://ibpublishing.ibo.org/server2/rest/app/tsm.xql?doc=d_4_physi_gui_1402_1_e&part=3&chapter=7 [Accessed 28 May 2018]. International Electrotechnical Commission 2001 Safety requirements for electrical equipment for measurement, control and laboratory use – Part 1: General requirements, IEC 61010-1:2001. International Electrotechnical Commision, Switzerland. Kirchner, A 2017 Teilchenfallen in der Antimaterieforschung – Modellexperiment zur Paulfalle, Master’s thesis, University of Freiburg, Germany. [online] Available at: http://cern.ch/go/6Hbx [Accessed 25 September 2018]. LD Didactic 2015 Observing individual lycopodium spores in a Paul Trap. [online] Available at: https://www.leybold-shop.com/physics/physics-experiments/atomic-and-nuclear-physics/introductory-experiments/paul-trap/observing-individual-lycopod-spores-in-a-paul-trap-216/vp6-1-6-1.html [Accessed 28 May 2018]. Libbrecht, KG and Black, ED 2015 Improved Microparticle Electrodynamic Ion Traps for Physics Teaching. [online] Available at: http://newtonianlabs.com/itdemo/iontraps.pdf [Accessed 28 May 2018]. Liew, CW and Treagust, DF 1998 The Effectiveness of Predict-Observe-Explain Tasks in Diagnosing Students’ Understanding of Science and in Identifying Their Levels of Achievement. Proceedings from American Educational Research Association. Litts, B 2015 Making Learning. Doctoral Thesis, University of Wisconsin-Madison, United States. Newtonian Labs 2013 Electrodynamic Ion Traps. [online] Available at: http://newtonianlabs.com/eit/ElectrodynamicIonTraps.html [Accessed 28 May 2018]. Sadler, PM and Sonnert, G 2016 Understanding Misconceptions: Teaching and Learning in Middle School Physical Science. American Educator, 26–32. Spring. White, R and Gunstone, R 1992 Prediction-observation-explanation. Probing understanding. London: The Falmer Press.